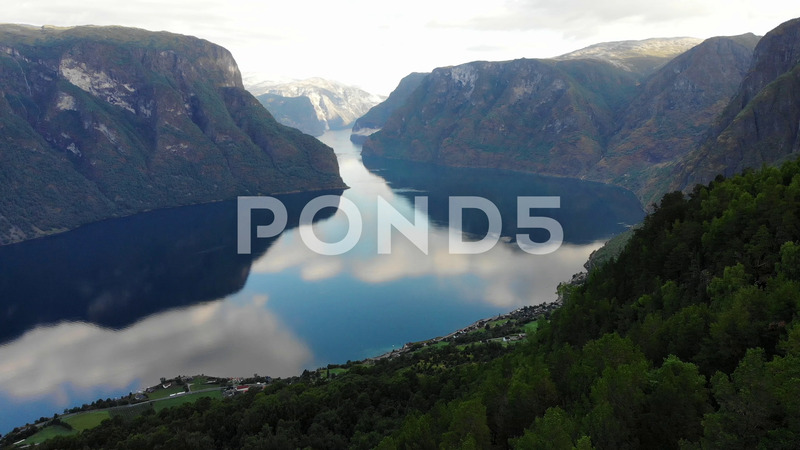 Description: Aurlandsfjord fjord landscape at morning. Norway Scandinavia. National tourist route Aurlandsfjellet.